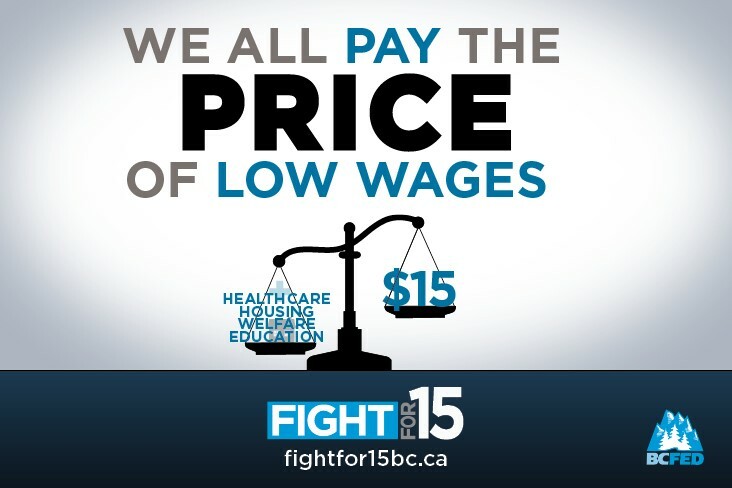 The call for fair wages is so important here in BC, where we now have the lowest minimum wage in Canada. At $10.45 per hour, full-time workers are living nearly $6000 below the poverty line. That’s got to change. A week ago thousands of people across Canada stood together for a fair minimum wage as part of our National Day of Action. 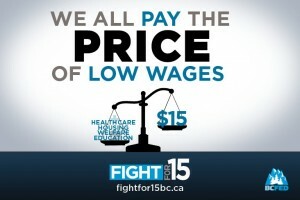 They collectively called for provincial governments to raise minimum wage to $15/hr. It is amazing to see our movement growing. You can help build momentum! Like the Facebook page to be part of calls to action, to hear about upcoming events, and to learn about wins across North America. Together we have the power to build an economy that works for everyone.